While I was growing up I was the type of girl that would throw some cash and ID in my back pocket and go about my day. When I got married I felt like I should start carrying a purse and acting like a lady. The purse stuck around but I'm not so sure I've mastered the act of "lady." 88 Handbags is a great company that have bags for what seems like every occasion. Their bags come in different sizes. I have started to gravitate to the medium size bag. You know, big enough for a wallet, some gum, a diaper, whatever else may have you. I think that's the Mom coming out of me. 88 is a vegan brand. No animal products are used on their products. 88 is the ham radio sign off that means "Love and Kisses." 88 is a collection of bags designed by an expert creative team that works on design for brands world wide. Over the holiday season, 88 Handbags sent over a very cute handbag for me to share with you. 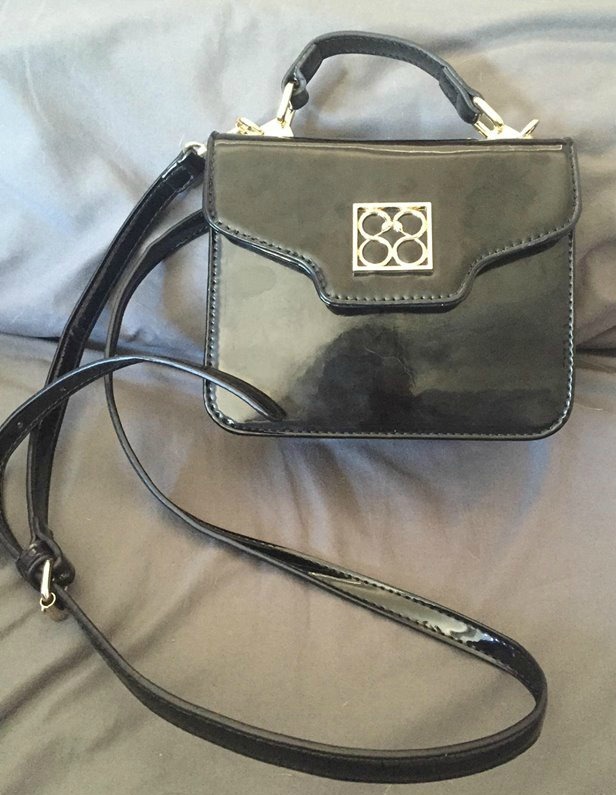 The Vera Black Mini Top Handle Patent Crossbody Bag is so small and perfect for a night out on the town. It's glossy in appearance and as you can tell in the name, can hang right over your body. 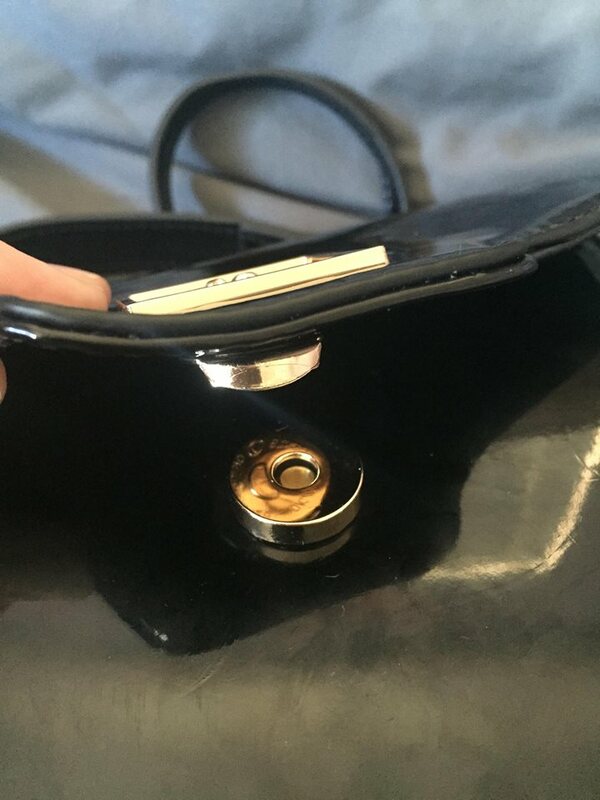 This handbag has a magnetic clasp that keeps it closed. This is great for the small purse as there isn't really enough room to keep a wallet. Inside there is also a little zipper pocket that is great to hold a few dollars. 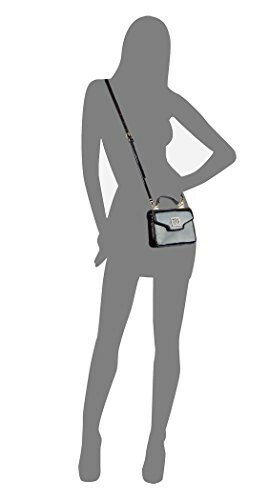 This bag is perfect for anyone looking for a small handbag that is stylish. Allyson keeps asking to borrow it to keep her Christmas money inside. If the smaller handbag isn't something you're looking for, they also offer backpacks, satchels and quite a few other great bags! Take a look!